They defined customer discovery as determining what products the customer really wants through data from real customers before launching the product. 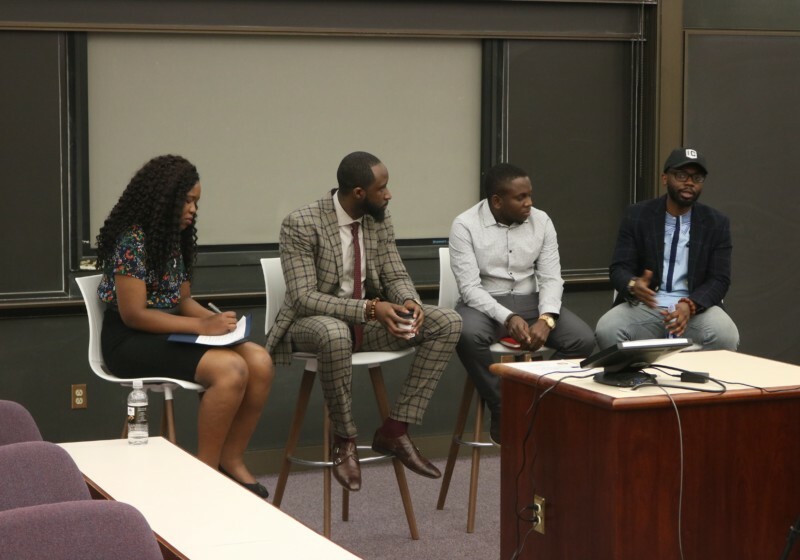 At times provocative and at others encouraging, speakers used the conference as an opportunity to share wisdom and advice with fellow aspiring African changemakers. Many students have neither the time nor the means to visit a phone repair service in a store, in addition to the problem of cost. For them, Campus Tech Repair is the desired alternative. Charles Norris, a long-time executive at Fortune 500 companies, and Byron Scott, a future member of the NBA Hall of Fame, make an odd pair, something that they’re keenly aware of.